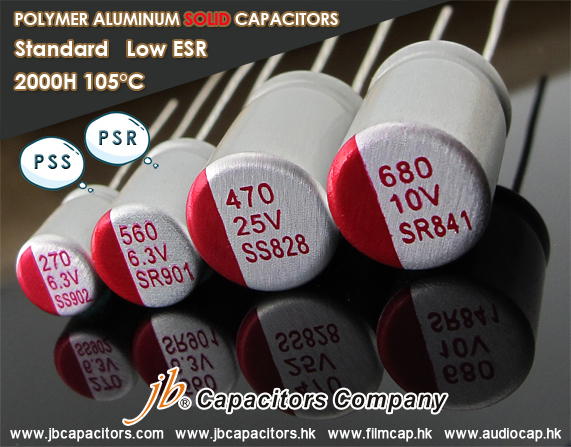 This is Ms. Lilian Zhu from jb capacitors company, which is one of the leading manufacturer of capacitors in China. 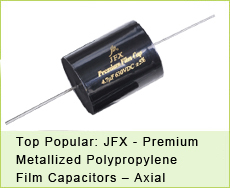 We mainly produce Film Capacitors and Aluminum Electrolytic capacitors. And look forward to having a cup of tea with you at our booth. 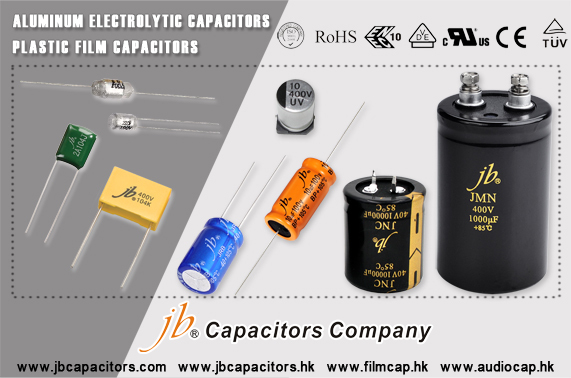 If you have any capacitors issues which I can help with, please also feel free to send to me, I will give you the fullest support to make you satisfied. 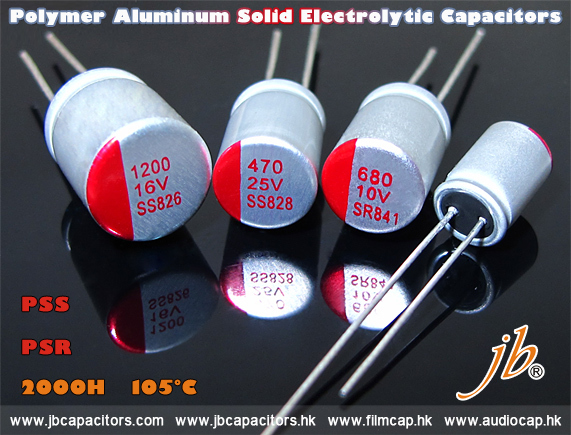 jb Capacitors manufactures and markets Snap-in Aluminum Electrolytic Capacitor with miniaturized size and wide temperature. Do you have any demand on it? 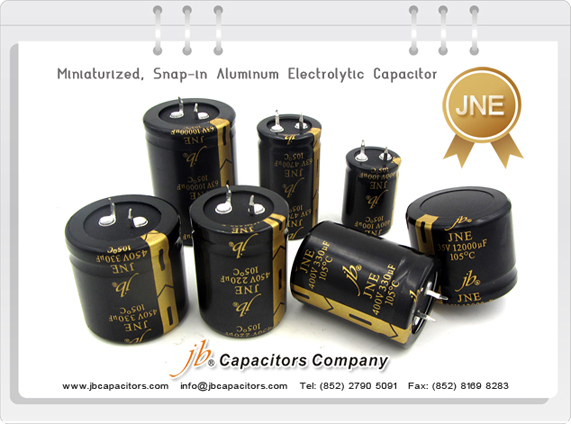 We believe our product JNE - 2000H at 105°C, Miniaturized, Snap-in Aluminum Electrolytic Capacitor can be definitely meet your requirement. Please kindly send us your enquiry, you will receive very satisfied offer and support from us! 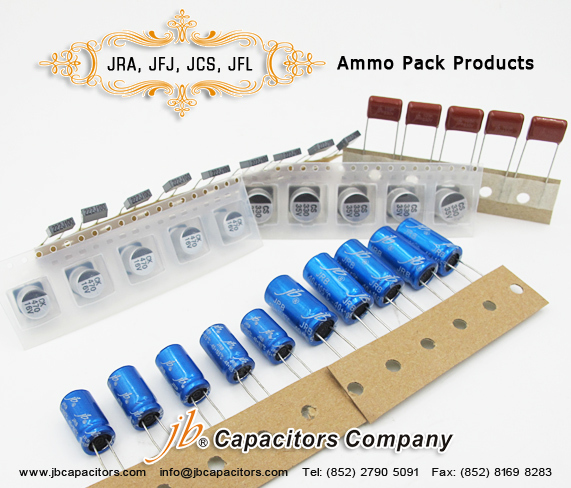 Ammo Packing is available for jb different types of products. Do they meet your requirement? Welcome to check more products information. If you need other packing, please contact with our sales team. We always aim to offer better service to you and seek more opportunities to cooperate with you. 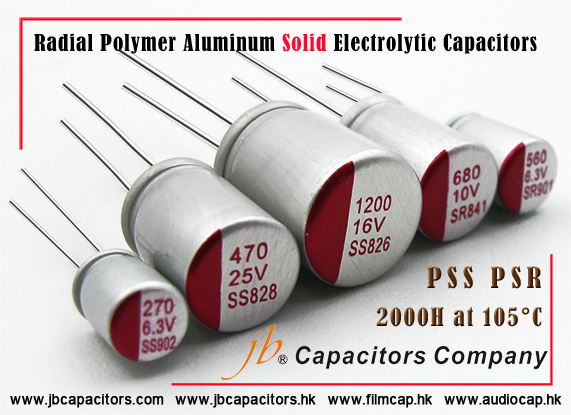 In order to let our customers have a more comprehensive understanding of our products, jb shares some products part number and ordering code information on online, it including Plastic Film Capacitor, Radial & Large Can Aluminum Electrolytic Capacitor, SMD - Aluminum Electrolytic Capacitor. 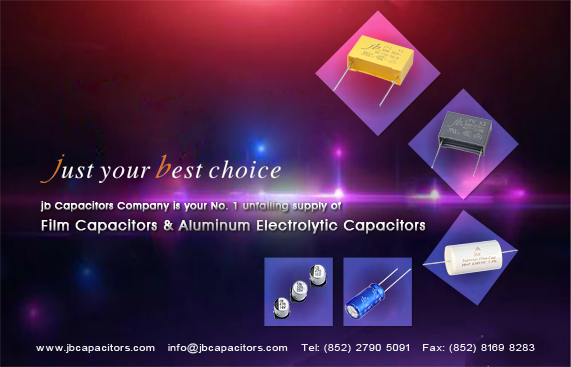 From it, you can easy to get product series, voltage, capacitance, tolerance, pitch, Lead length, packing and what their code stand for. 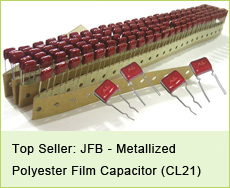 Here is the connection for you, please see it: http://www.jbcapacitors.com/PartNumber.pdf . 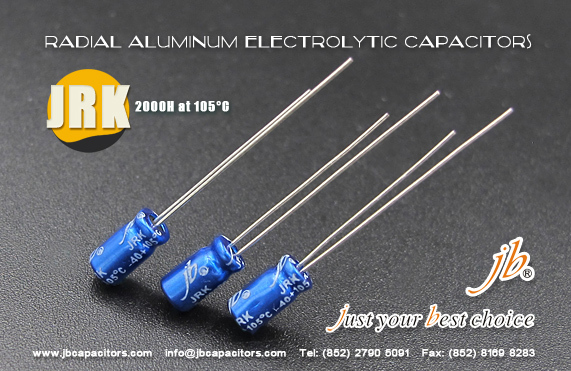 There are many kinds of capacitors, they all do same thing: store electric charge. 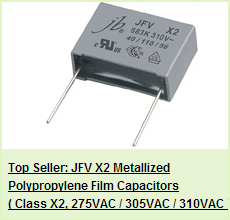 Capacitor! We are your Energy Supplement! On October (order peaking month), jb is ready to offer all our customers great price support! ( also great discount for good order list). Where is your inquiry & order list? Welcome contact us!